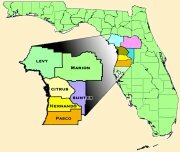 Citrus County Appraisal Service, Florida Real Estate Appraisals, Home Real Estate Appraiser in Crystal River Florida, Tolle Appraisal Service, Property Appraisers in Citrus County Florida. 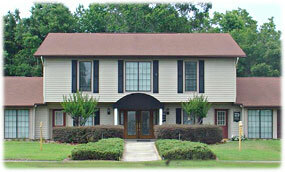 Tolle Appraisal Service Inc. is proud to offer you the services of our real estate appraisal office. We specialize in residential appraisals, commercial appraisals, vacant land appraisals, waterfront appraisals, relocation, ad valorem tax reduction, estate appraisals, FHA & VA appraisals and various specialized real estate appraisals. As many of our clients have discovered, the property appraisers at Tolle Appraisal Service offer unmatched professional service, delivering excellence in a timely manner. Hugh E. Tolle, SRA has a Bachelor of Science degree from Florida Southern College (1980) and has completed post-baccalaureate work at the same school. He has been a licensed real estate appraiser since 1988, is an MSA/MRA member of the National Association of Master Appraisers, an MAI associate of the Appraisal Institute, a State of Florida Certified General Real Estate Appraiser (Cert Gen RZ 1679), and is a State of Florida Licensed Real Estate Broker (BK 0452046). He is President of Tolle Appraisal Service, and Century 21 Nature Coast, Crystal River, Fla., and has been a full-time commercial and residential real estate appraiser since 1988. Tammy Bonick has been appraising since 1998. She is a State Certified Residential Appraiser (Cert Res RD 4172) and is FHA approved with many hours of continuing education. She opened her own appraisal company in 2003 in South Florida and relocated to Citrus County in 2005. She has extensive knowledge as a Residential Appraiser to include Multi- Million dollar properties, new construction, mulfi-family residential, condominiums, waterfront properties and vacant land. Tammy is very knowledgeable of our local market area and is motivated to take care of all your appraisal needs. Brandon Tolle, has worked at Tolle Appraisal Service since 2010. He is a State Certified Residential Appraiser (Cert Res RD7887) and is a resident of Citrus County. He attended UF and is now under his father’s wing, Hugh E Tolle. With his combined experience and knowledge at Tolle Appraisal Service, Inc. he has become a great asset to this company. His Appraisal work varies from not just Citrus County, but also the surrounding Counties. He has completed and surpassed expectations of many complex Appraisal Reports from 5,000+ sq ft homes, Vacant parcels of land of 20+ Acres to even Multi-Million Dollar properties. He continues to take classes to better his knowledge and be up to date with all the USPAP standards and practices. Edgar E. Tolle, a veteran of over 40 years in real estate brokerage and property appraising for Northwest Central Florida. Past member of Appraisal Institute, National Association of Master Appraisers, and National Association of Realtors. Masters Degree, University of Florida. Past Crystal River city councilman, bank holding company president, and Citrus County Property Appraiser. A Local Legend in Citrus County FL, a former property appraiser, city councilman and businessman. Edgar Tolle was known for his local politics, business leadership and deep family roots. Ed Tolle, raised in Lakeland, moved with his wife, Kay Tolle, to Crystal River in 1950 after they met at Florida Southern University. They ran her father’s fish house — now Charlie’s Fish House — and Ed Tolle was an early manager at the Plantation Inn Golf and Country Club. Tolle’s political past includes 12 years as property appraiser and two separate terms on the Crystal River City Council. In the 1980s, Tolle opened the Real Estate Appraisal business, Tolle Appraisal Serive and Real Estate office, Ed Tolle Real Estate (Century 21 Nature Coast) on U.S. 19 that bears his name. He also served as president of Citizens First National Bank. During my banking career, I have personally reviewed their appraisals and determine that Tolle Appraisal Service is quite proficient, knowledgable, and professional in their appraisal assignments adhering to USPAP and our bank standards. The principals, Hugh and Ed Tolle, are highly qualified appraisers with experience in the management of commercial and residential appraisals services. I have done business with Tolle Appraisal Service for the past fifteen years and have found that the firm adheres to strict regulatory guidelines for all appraisal work. They employ well-trained and responsive appraisers who provide excellent turn-around time. This letter serves as a letter of reference for Tolle Appraisal Service, Inc. Regions Bank has used the services of this company for a number of years for commercial and residential appraisals and have found them to be highly qualified in meeting the stringent appraisal requirements of Regions Bank. ©2011 - 2015 Tolle Appraisal Service, Inc.